Hello, Gorgeous! : Ann Blanche New Year's Giveaway!-CLOSED. What a fabulous way to start the new year! Happy 2015 to you! Happy 2015!!! I hope your outfits continue To be gorgeous as always!! The ANTONELLA is my favorite. I have a cute white skirt and pink lacy top that would look perfect with this. These are adorable! I have nothing like them and could have a lot of fun with them! The ones in the photo are cute. I don't have too much color in my wardrobe and these would add that pop! These are so cute! I love the Gabriella. 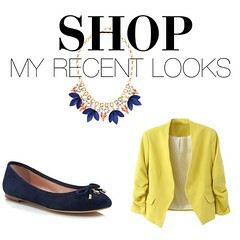 Bright and cute for spring! Thanks for the giveaway! I would choose the Antonella and style them with a flowy skirt! I love the blog. Thanks for all the great ideas. Oh my goodness! I must have the ALESSIA! They would go perfectly with my new red skirt! Thank you for the wonderful giveaway. I love the chloe flats! So cute and versatile! Great giveaway! Thanks for hosting! Have a great 2015! I love the GABRIELLA flats. I would wear them with skinny jeans and a flowy top. Hard to choose but I see the sonnet going with everything or something fun like the caprice that is a fun pop of color with brown pants and an oatmeal top and pale yellow and off white scarf. The sonnet pair is adorable and would look great with a pair of dark skinny jeans! I love the Sonnet, i love that they look like lace. I Would paír them up with so many things! But one of them would be my red skinny jeans and a black top. The Antonella is my favorite- with skinny jeans or leggings! Happy new year!! thanks for the giveaway! i would pick the sonnet. great with black skinny jeans, a silk blouse and maybe a colored clutch or scarf! I would love to wear these flats to work. They are so cute and fun and perfect for so many different kinds of occasions! I'd go all neutral and let them serve as the focal piece. I love the Annabell flats. Leopard and red are my favorite combination, and those flats would get a lot of wear while I substitute teach. love this blog and these shoes are too cute! I love my heals but I wear flats most everyday. Running after 3 little ones and 1 on the way, flats are a must! Annabell in leopard are a must have! The leopard print annabell flats can look great. They add a pop of color and fun flare!! i'm so excited about this! i'd love to win any of the animal print flats. good luck, everyone! I would love the Balbina flats you have pictured! My blog is "Yellow Door Diaries" so I'd love to have the yellow to pair with jeans, shorts this summer, dresses...the possibilities are endless!! I have so many neutral shoes that a pop of color would be refreshing. Thanks for the giveaway! Wishing you a very Happy New Year with New happiness, New joy and New beginnings! Make the most of this year to achieve success in all your endeavors! I want the antonella shoes! I would wear them with a dress and tights! I'd choose the Antonella flats too! Love the soft, subtle colors. I'd pair them with a muted pink tunic and grey leggings, I think. I love the Antonella flats!! Happy New Year! I love the Chloe Flats! Happy New Year! Your blog definitely helped me improve my style in 2014! I would choose the Annabell in leopard print with red toe caps. I would pair them with skinny jeans, crisp white button down and my favorite vintage biker jacket. Thank you so much for the chance to win! I would get the AnnBlanche - Giana. They would go perfectly with dressy jeans, a white blouse and a red/white/blue scarf. I would have to get the leopard print. Those ones look awesome. I like the Annabell - would look cute with dark wash jeans, simple top & great scarf. I also like the Balbina - nice combo with the two bright colours. Love the Annabell! Thanks for the opportunity! I love the Antonella flats and would wear them with a pair of light grey pants. The sonnet flats are very cute! They are very versatile. I would wear them with black pants and a red sweater. These flats are super cute! What a way to step into 2015!! Love the Annabell flat and would pair it with navy skinnies and a red plaid button down. Thanks for the opportunity! I love the Antonella flat. They look like a nice neutral. I would get the Annabell and wear them with my jeans. My favorite color combo is the ANNBLANCHE ANTONELLA..they are so so cute!!! I would choose sonnet! Thanks! Thanks for this generous offer! Annabelle would be my choice. What a cute alternative to plain flats! I like the Antonella ones. I would style them with a little, flowy, pink, summer dress and flowers in my hair. Awesome giveaway! 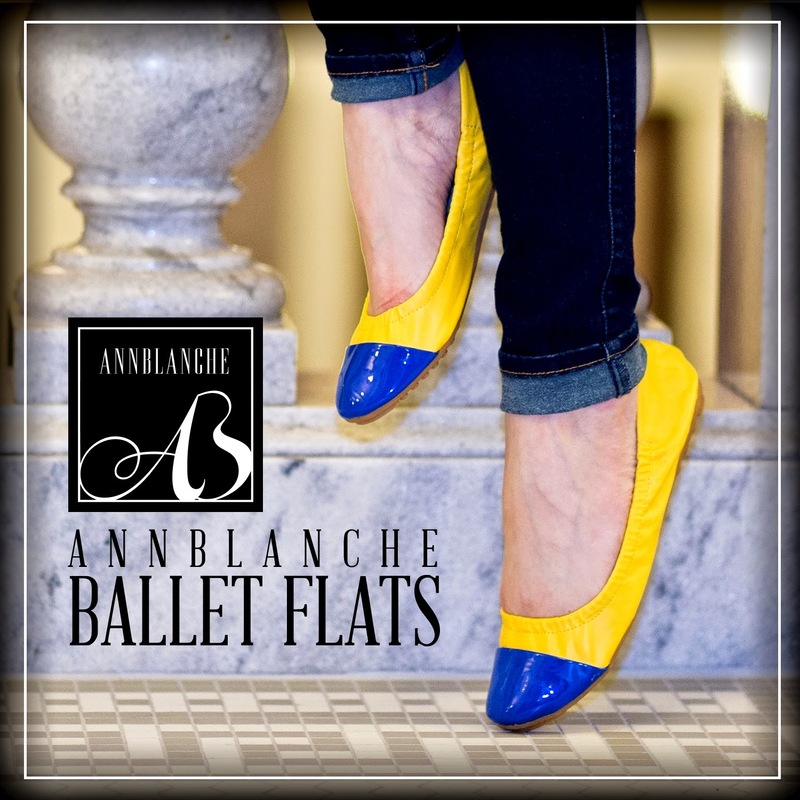 These Ann Blanche flats look so cute and comfy, I'd probably wear them with everything! These flats are so cute and I love that they have a great sole, its hard stopping around in flats with no cushion. I'd wear them with skinny jeans and a white sheer button down to make the shoes pop. I love the Antonella. They're so dainty and would be perfect for spring! I'd style them with a white flounce skirt, fitted tee and a light pink cropped cardigan with a 3/4 sleeve. I would pick the Antonella and I would wear them with white capris and a tank! I would choose the Fiorella! They are casual and go with a number of outfits while adding a pop of color. They look so comfortable! I would wear it with skinny jeans and choose Sonnet! I would choose the SONNET! I would probably wear them with skinny jeans... or capri leggings with a cute flowy top! I would choose the Annabell flats and I would just style them with dark skinnies and a chambray top from j.crew. These look so comfy! Love! These look comfy and stylish- LOVE IT!! I love the Sonnet to wear with my LBD in the summer. So cute.